Infuse your air with the vitality of nature, enhance your well being and create a soothing atmosphere with this ultrasonic diffuser. Add a splash of chic to any home with this unique, decorative unit. 1. Fill water tank to maximum water level line. 2. Add 10-15 drops of your favorite Saje diffuser blend. 3. 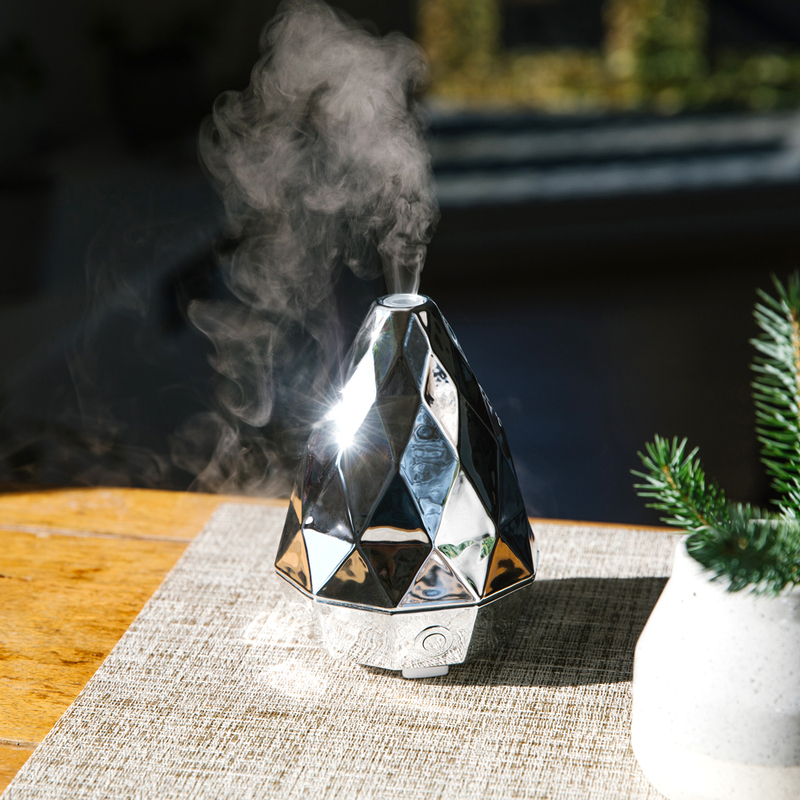 Press diffuser’s on button and breathe in the benefits of nature. Read instruction manual and diffuser blend label for full operating instructions, cautions, care and maintenance. Diffusers give you the same refreshing feeling as standing near a waterfall, while gently adding essential oils into the air you breathe. They are a simple way to enjoy the 100% natural benefits of essential oils and their cool mist preserves the integrity of your blends. Inside each diffuser is a tiny ceramic disc that vibrates to create a cool, odourless water vapour, just like the vapour around a waterfall. When essential oils are added, this vibration breaks the essential oil into microscopic particles. 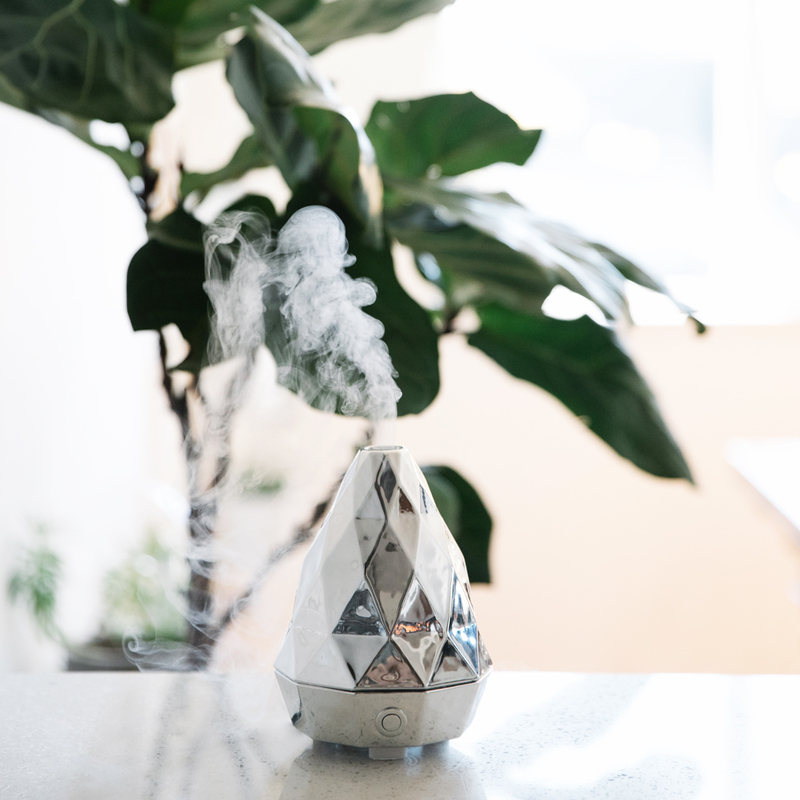 The diffuser then releases this fine mist of essential oil and water into the air so that you can easily inhale the goodness of nature. 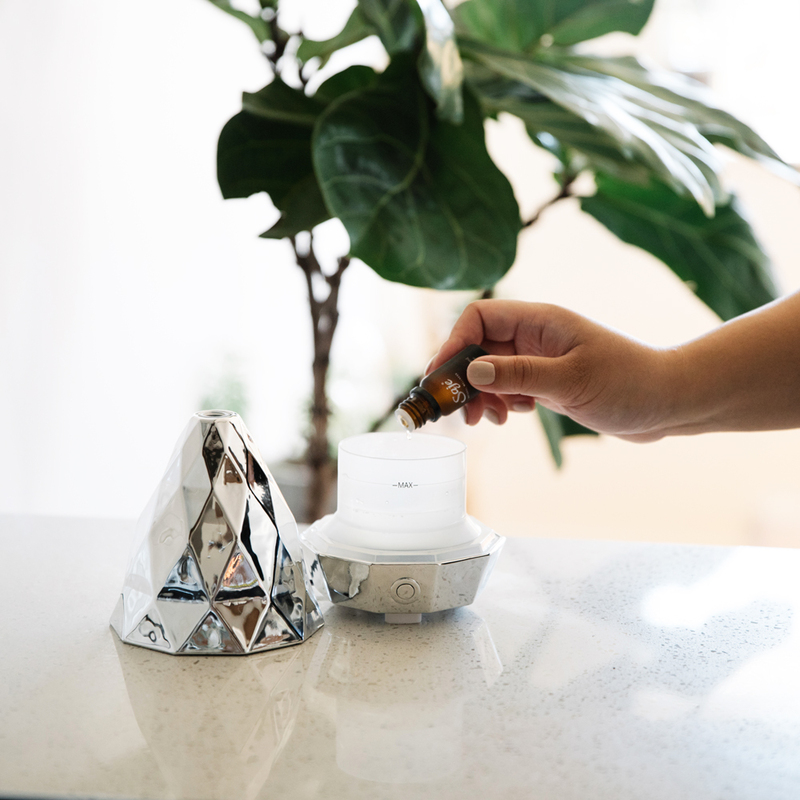 Diffusing allows you to bring nature’s abundant healing properties into your home, office, or anywhere you choose to diffuse. If you're looking for more calm, more rest, more energy or more focus, there's a diffuser blend to help with that. I would buy another one! This is my favourite diffuser. It goes with everything I have in every room. Both that i bought were gifts and they love them. I love the look of this diffuser - it works so well in our living room. I may get the matte black for our bedroom. It's tiny so it doesn't draw attention, but if it did, it wouldn't matter it's so cool looking. 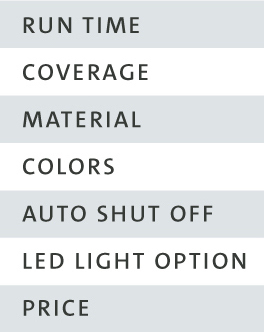 I love that it has 2 settings - continual or intermittent and that it automatically shuts off. I love this small but effective diffuser. I love so many of their products but wanted this one beside my bed! I enjoy it every night before I go to bed! I would purchase more of these for other rooms in my home. I have one in my bedroom but i just purchased this for my living room . I use it every evening and it is so relaxing and enjoyable. I will definitely purchase more for other rooms in my home.